Video games have never been more popular in the Philippines with an estimated 32 million gamers residing in the country today. The rise of PC Bangs and eSports in the country gives Filipino gamers the opportunity to play video games as a job, and in 2018, the country established its first eSports franchise league known as “The Nationals,” which will begin in 2019 and broadcasted on ESPN5. In addition, betting on eSports is becoming more popular with an estimated ₱1,277,460,000,000 to be wagered on eSports worldwide each year by 2020. If you’re a Philippines gamer or fan of eSports, then there’s no better time than right now to get in on the eSports betting action. Is betting on eSports legal in the Philippines? Yes, residents of the Philippines who are at least 18 years of age are allowed to place wagers on eSports at online licensed offshore sportsbooks, land-based casinos, and MegaSportsWorld outlets. 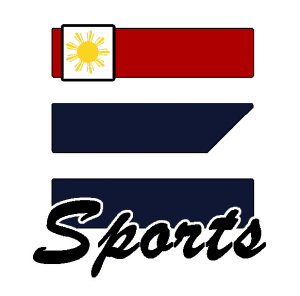 The websites below allow all Philippine citizens to be on eSports leagues and tournaments in the country and eSports leagues and tournaments from around the world. Each of these online sportsbooks is 100% legal, safe, and guarantee payouts on winning bets. Philippine players looking to bet on their favorite e-Sport games should check out the betting lines provided by BetOnline. BetOnline is one of the most trusted e-sports betting sites available to Philippine residents. In addition to e-Sport betting, BetOnline offers other services including casino games, poker, traditional sports betting, live dealer casino games, and more. With multiple banking options including cryptocurrency, e-sport bettors should give BetOnline a closer look. To top it all off, new Philippine players can claim a 100% bonus up to $3,000 over your first 3 deposits. Can I bet on eSports at casinos? Yes, but betting lines and odds on eSports leagues and tournaments are very limited and only MegaSportsWorld and the Winford Hotel & Casino currently offer mostly traditional sports betting and haven’t expanded much into eSports yet, but this will likely change next year. 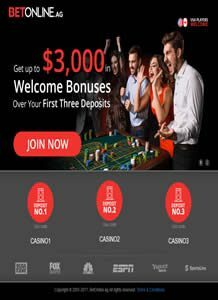 The legal online casinos mentioned above also have betting odds for multiple games and account holders can bet online or with a mobile device for upcoming or live events. In 2018, Philippine gamers will compete in the Road to the Nationals to determine who will qualify for The Nationals 2019 season and who will become a professional gamer. Dota 2, Mobile Legends, and Tekken 7 gamers will compete from August to October in the elimination rounds to determine the final 8 teams for each video game title. On October 26-28, 2018, the 8 best teams from Dota 2, Mobile Legends, and Tekken 7 will compete at the ESGS (Electronic Sports and Gaming Summit) 2018 to decide who will qualify for The Nationals. The event will take place at the SMX Convention Center in Pasay City. Q: What eSports can I bet on? Q: Is it legal to bet money on eSports? A: Yes. A resident of the Philippines who is age 18 and older can bet on both eSports and traditional sports. Q: Is it safe to bet money online on eSports? It can be if you choose to sign up to one of the online sportsbooks mentioned at the top of the page. Each of these betting websites has been reviewed by us and we can ensure each one is legal, safe, offers multiple betting lines on eSports, and pays out winning bets. Q: How is betting on eSports different from regular sports? A: When it comes to betting, there isn’t too much difference between the two since ultimately, any bet requires you to pick the correct outcome to win money. The lines for eSports will be tailored to the specific events, tournaments, and matches.